GFA-supported Bridge of Hope centers provide safe places for children like these to learn and grow. 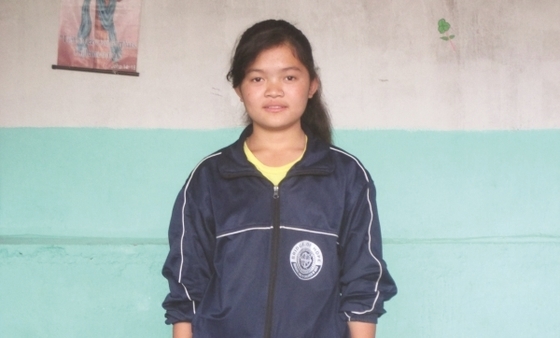 Dhanya wasn’t the only girl in her area who struggled in school. Most of the families around her worked in carpet factories, and they couldn’t afford to send their children to good schools, provide materials for their education or give them enough food every night. Parents didn’t have much time to help their children in their studies. They all struggled. But there was something that made school more difficult for young Dhanya. When Dhanya was in fourth grade, her father’s job had brought them from their remote village to this new place, a village on the outskirts of a bustling, ancient city. Dhanya’s new school had higher requirements for English than her old one, so little Dhanya wound up placed in second grade. Her parents were unable to help her with her studies, and Dhanya’s performance dropped. She became an average student with little hope of escaping the poverty that held her family in its grip. But then a GFA-supported Bridge of Hope center opened in her new city. Dhanya found herself, along with 89 other children from the area, with a new opportunity. Through the help of her tutors, Dhanya soon grew to understand English better, as well as many other subjects in school. A year after joining the Bridge of Hope center, Dhanya passed her sixth-grade exams with one of the highest grades in her class! For the past few years, Dhanya has continued her education, aided by her Bridge of Hope tutors and the prayers of her sponsor. She wants to be a teacher after she graduates so she can help poor students who don’t have the opportunity to read and write. Your prayers are part of changing the lives of girls like Dhanya. Thank you!